Hi everyone! It’s me, the Little Chef-man. Thanks again for all the great feedback on the posts. One thing people have been asking for is a more exotic meal, so today, we’re taking a trip to the Mediterranean for a little taste of Italy! 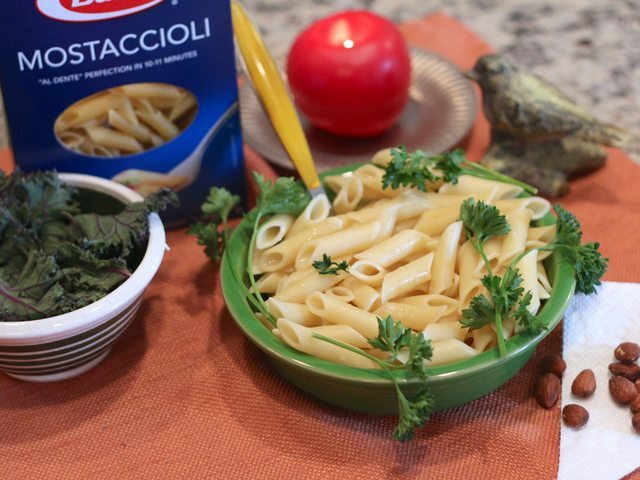 We’re going to make a simple pasta dish that anyone can make if they have the right materials. Your guests will all be saying “Ho l’acquolina in bocca,” which means “my mouth is watering” in Italian. First thing you’ll need to do is choose your pasta. 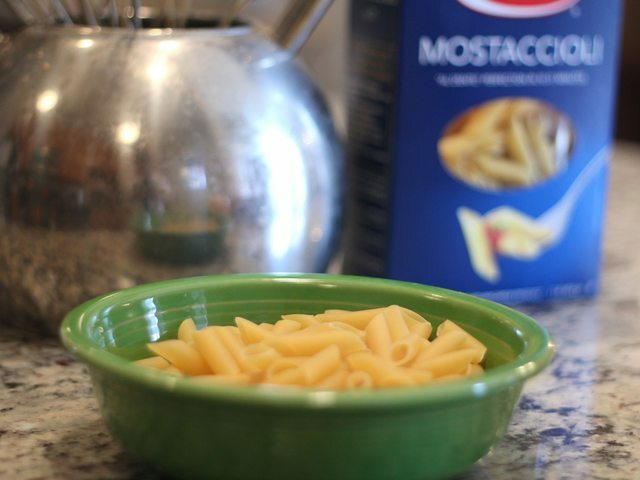 I chose mostaccioli, which I learned in my research for this meal means “small mustache” in Italian (the little pastas kind of look like mustaches like this: ~ ). They’re apparently a kind of pene, a very popular pasta. You can use any shape you’d like though! Measure out a good amount in your bowl. TIP: One trick to keep in mind is that the pasta will expand when we cook it, so remember that the size of your serving will increase from what you see in your bowl. 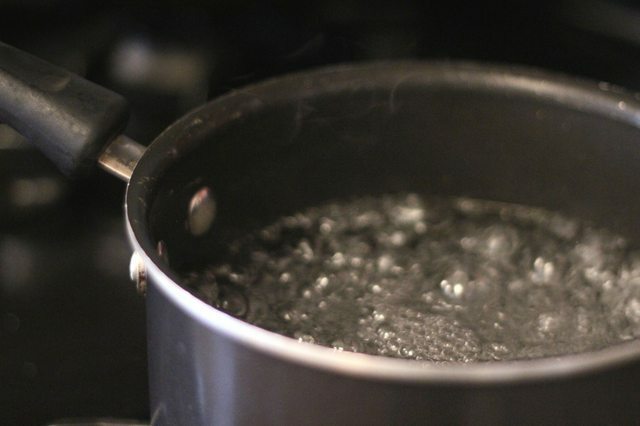 Now boil some water in a pot. 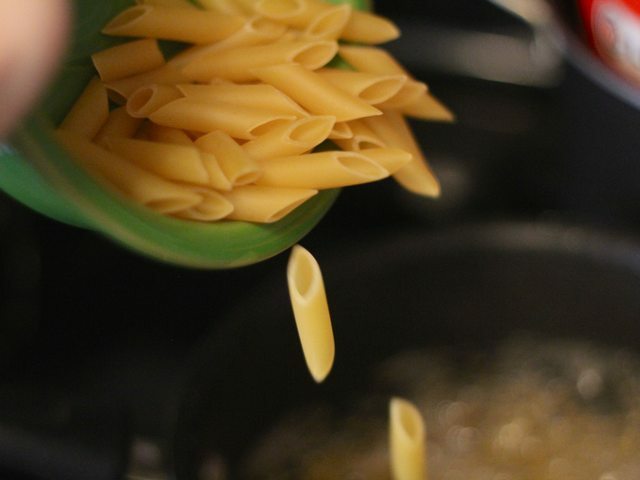 Make sure the pot has enough water to submerge all of your pasta, but not so much that the water might spill over the edge. 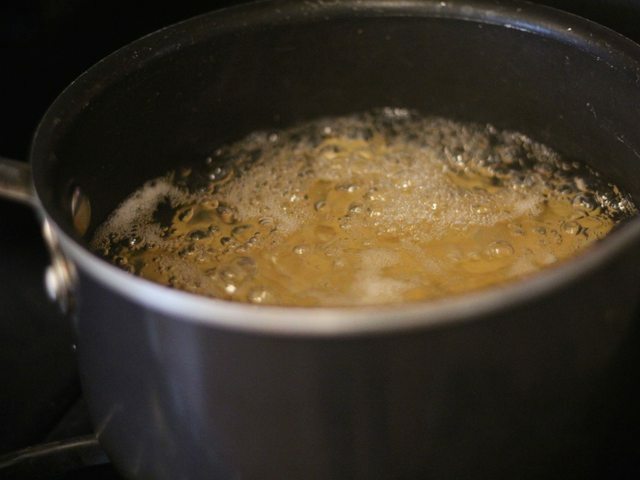 TIP: To make you water boil faster, turn on your stovetop flame to the highest setting. A lot of people leave their burner on a “medium” heat to avoid burning the outside of whatever they’re cooking, but water doesn’t burn! Turn it up as much as you’re comfortable with. When the water is boiling, combine the pasta into the water. Be careful: the hot, boiling water that might splash on you as you pour in the pasta. Use caution. Wait about 10 minutes and stir occasionally. Keep your eye on the clock to keep track of how much time is going by. Some like their pasta al-dente, which means “to the tooth” and is a bit hard, but I like mine a little bit softer. About 10 minutes will get you where you need to be. As your pasta nears its desired amount of cooking, you can try a pasta or two to see if you like how tender it tastes. 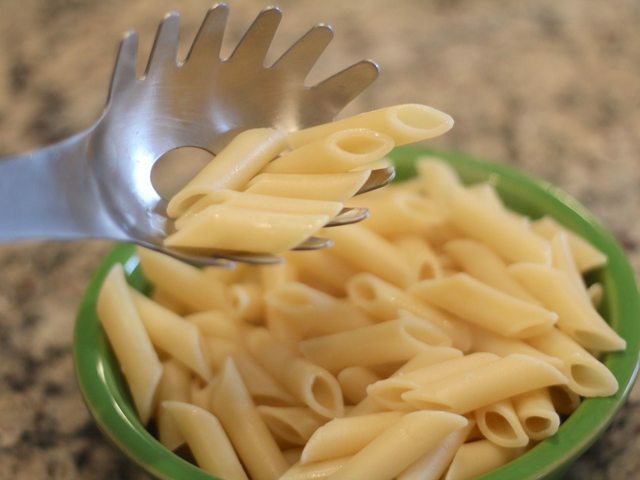 When it’s done, drain your pasta to separate it from the water. You can use a strainer, but I like to use this tool that has a hole in it to scoop mine into my bowl (it reminds me of this Greek myth): Of course, you could be done at this point, but we at the Little Chef-man blog like to go the extra mile. We’re going to make a simple butter sauce to go on our pasta. 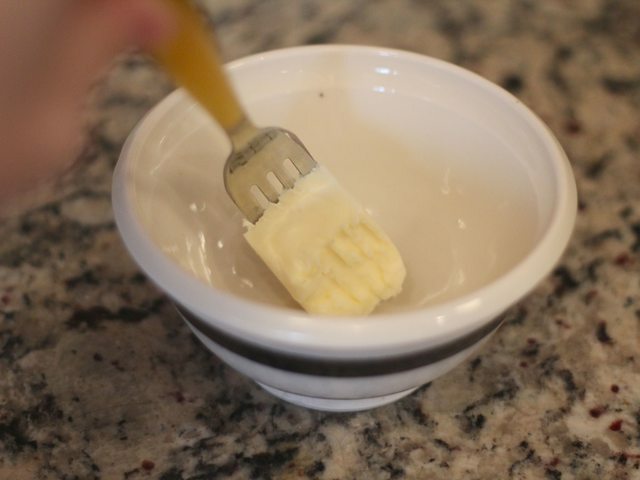 Use a fork to cut out about two cubic inches of butter and put it in a microwavable cup. Microwave that for about 30 seconds to make your butter sauce. 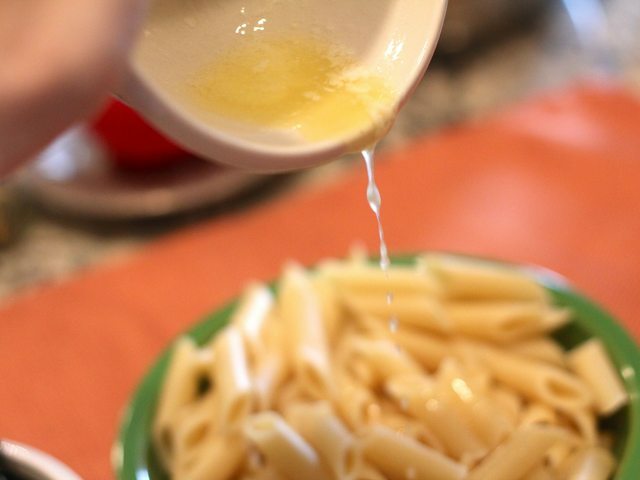 Next, pour your butter sauce onto your pasta, making sure to spread it evenly. Your authentic pasta with butter sauce is done! For a full dinner, I also made a small kale salad! 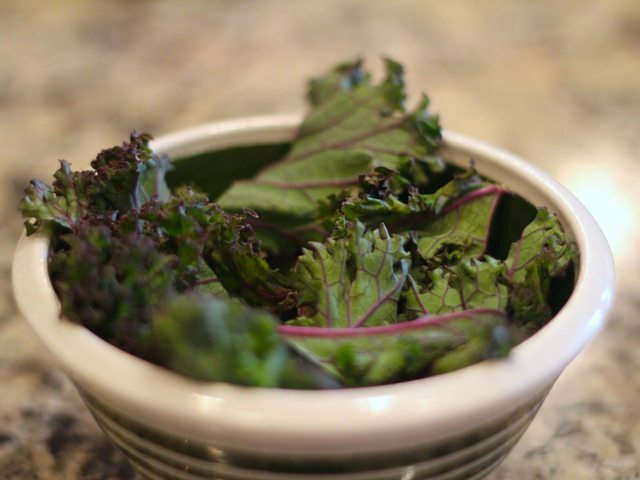 Kale is a little bit like lettuce, but people insist that it is different. You’ll just need some kale in a bowl, like this: We’ve now made a pretty, Italian meal! Serve with a few nuts and garnish with parsley. For a nice aesthetic effect, serve as una cena a lume di candela, or a candle-lit dinner in English. Bon appetit! Or as we say in Italy, buon appetito! Until next time. Hey everyone, The Little Chef-man here. I was so encouraged by all the wonderful feedback on my first post that I decided to cook up something extra special for my second post. 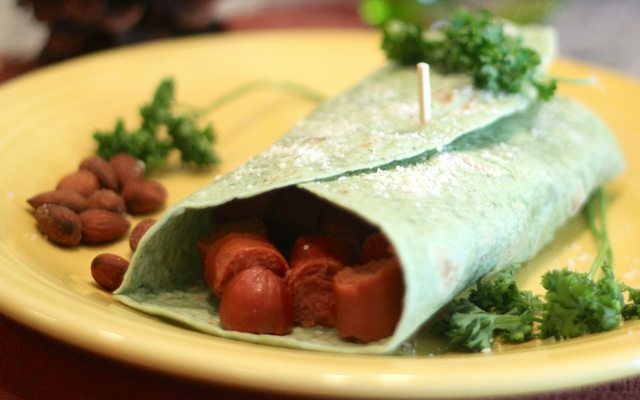 I’m proud to present my recent creation: the Three Hot Dog Wrap! This one is actually deceptively simple to make, but it’s sure to impress. First, grab three hot dogs. You can buy these in most stores where foods are sold, usually around the pre-packaged deli meats and cheeses. I’ve picked out Hebrew National brand hot dogs, so our meal will be Kosher, but you can use whichever hot dogs you like. Mine have been frozen so that they last longer. 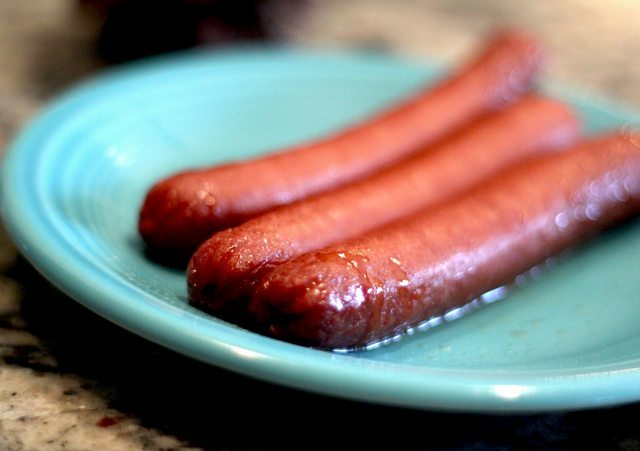 Throw your hot dogs in the microwave. 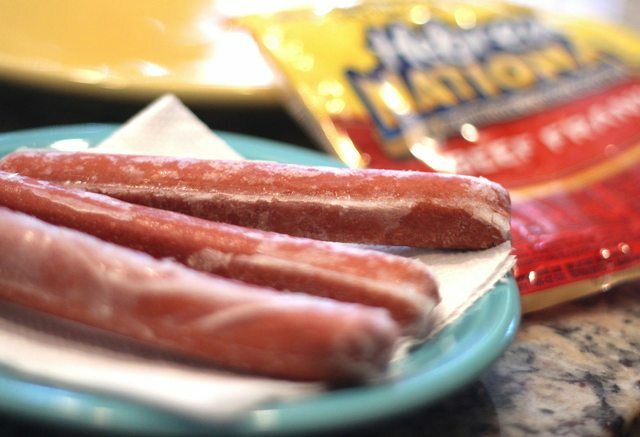 A good rule of thumb is to go about one minute for each hot dog, so I’ve put these in for three minutes. When they’re all done, they should look something like this. 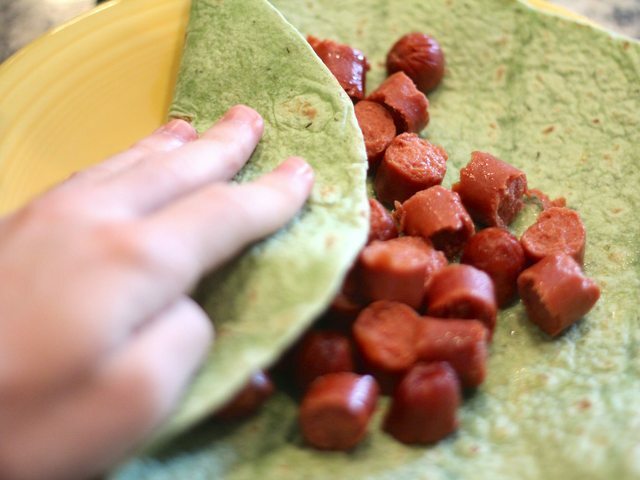 Now we’re going to cut the hot dogs into small mini-cylinders so that our wrap will have some shape. 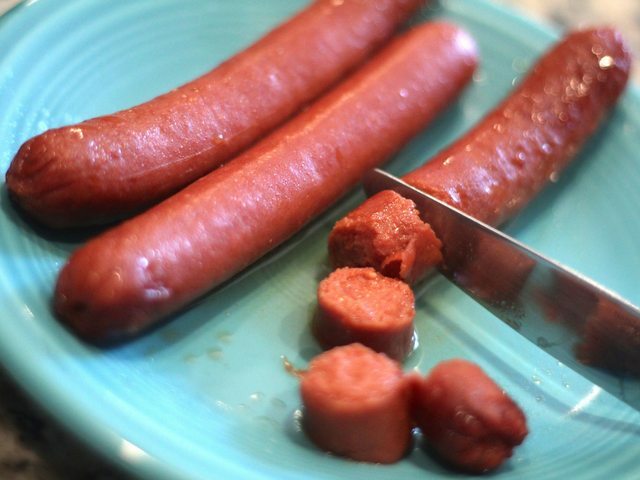 Take your knife and cut the hot dogs into pieces about 1/2-3/4″ wide. 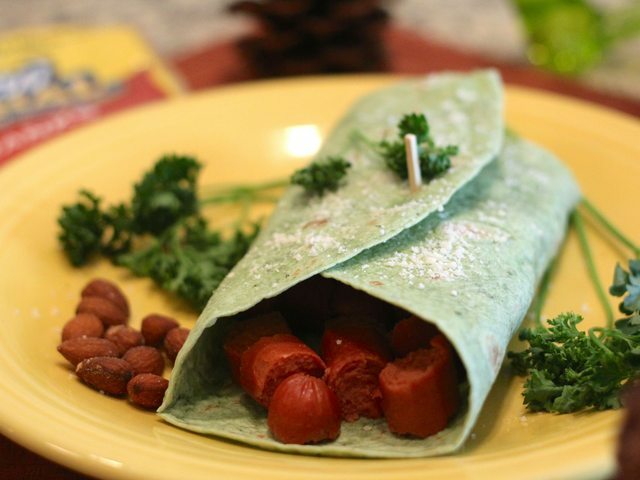 When we’re all set with our hot dog pieces, it’s time to get out our wrap. 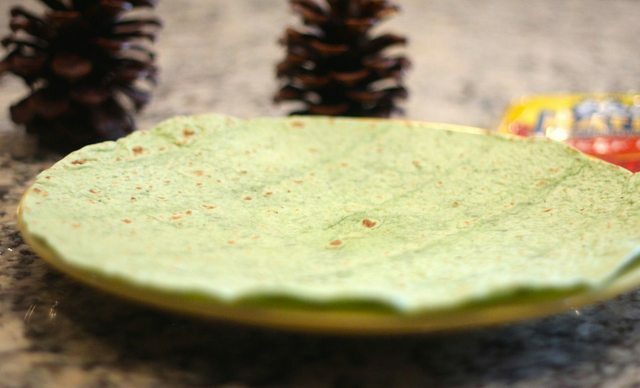 You can use any sort of wrap you like. I like to go for green wraps, which are healthier than white ones. 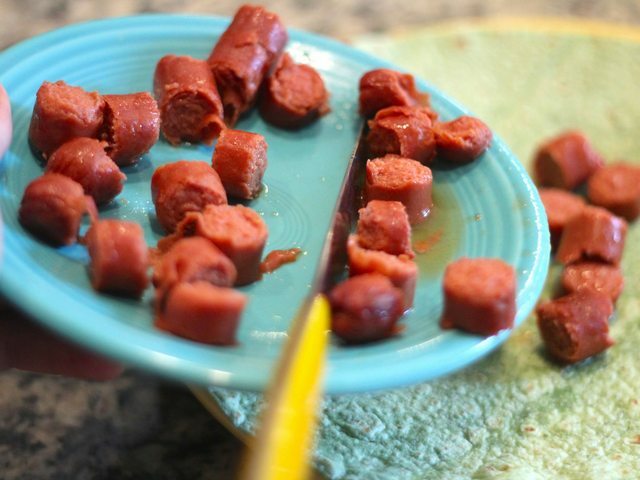 Combine the hot dog pieces and your wrap by pushing them in with your knife. Spread them out as desired, and fold your wrap up. Be careful to fold neatly. Proper presentation in this meal will provide an immense aesthetic boost. And there you have it! Sprinkle a little parmesan cheese on top for extra presentation and flavor, and you’re good to go! Serve with a few nuts and garnish with parsley. Enjoy! If you have any questions or comments, please get in touch! I love hearing from you. Until next time! This entry was posted in Lunch. 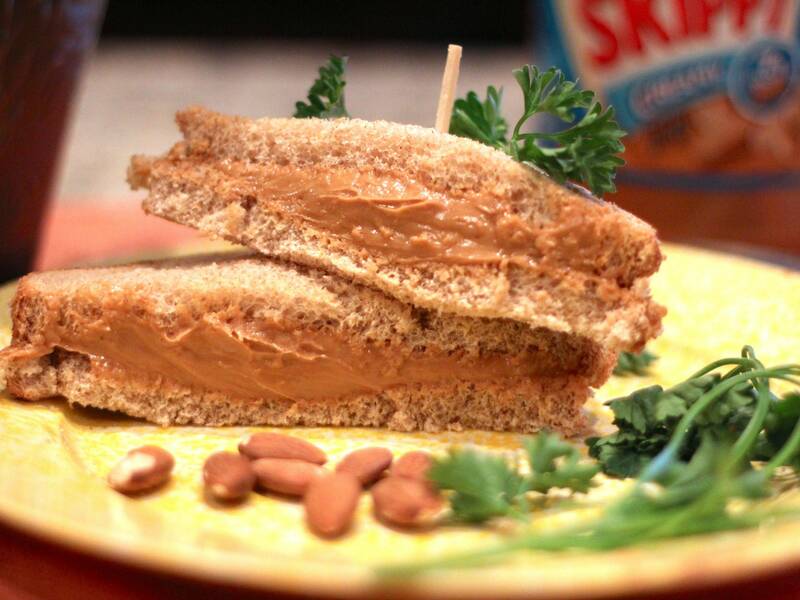 For my very first post, I thought I’d start with one of my signature lunch dishes: the peanut butter sandwich. This has been one of my favorite foods for a long time, and I’m so excited to share the recipe. 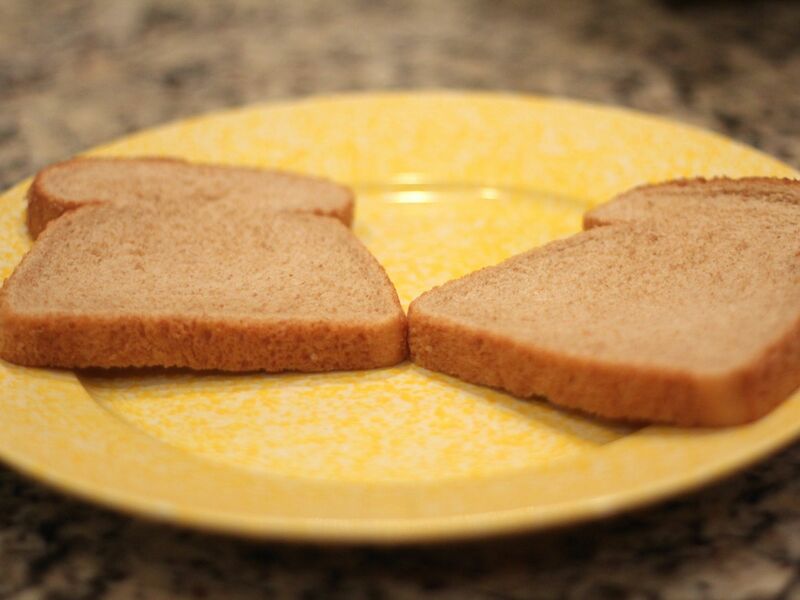 We’re going to start off with two slices of bread. Now you can use whatever kind of bread you like here, but if you’re me, you’re going to use a plain whole wheat. You can purchase it at most places where food is sold. 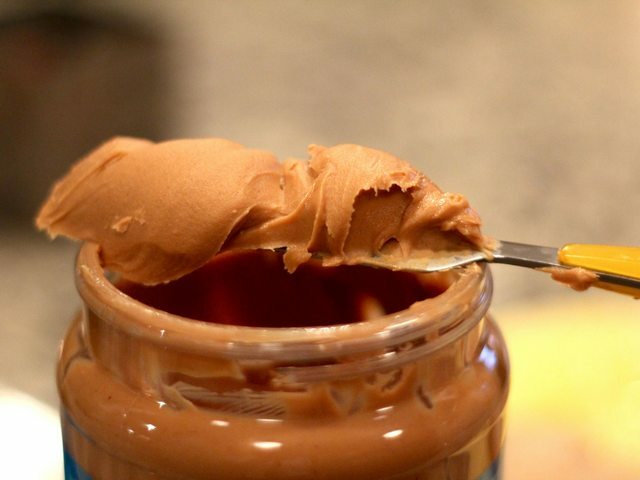 Next up, grab your jar of peanut butter. 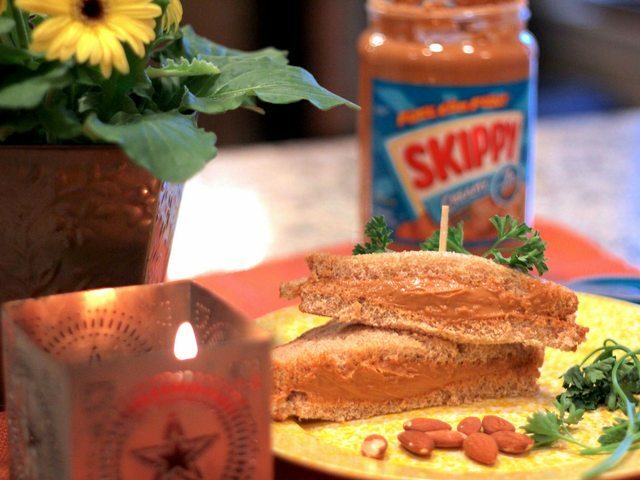 For best results, go with a smooth name-brand, like Skippy (fun fact: Skippy’s website is peanutbutter.com. They sure lucked out!). 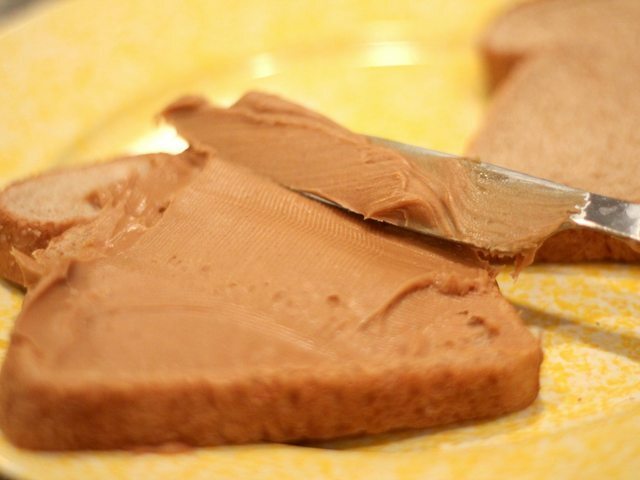 I’ve tried using a natural, no-name peanut butter brand before, and the problem is your sandwich ends up too dry. Stick with a tried and true brand. Now get as much as you can onto your knife and start spreading onto one of your slices. A lot of people will make the mistake of using only enough to cover the slice with a thin layer. Be generous! A nice thick sandwich is what we’re going for here. TIP: You can take some aesthetic pleasure in looking at your spread. 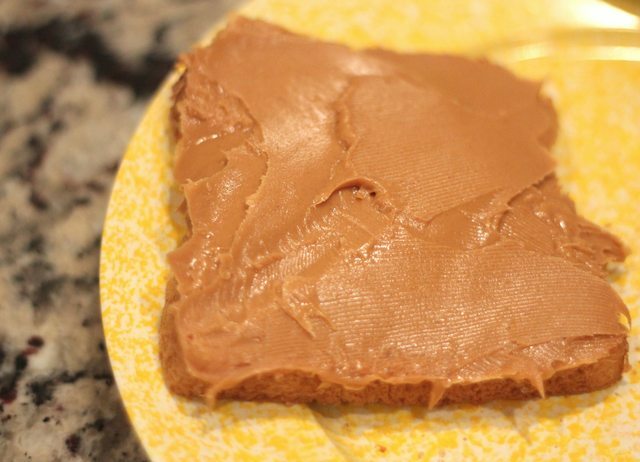 If you spread in a certain direction with most knives, you get these nice rows of little ridge-marks in your peanut butter. When we’re all set, put the other slice of bread on top. Now you can slice it in two if you wish (maybe in the triangle way pictured below). 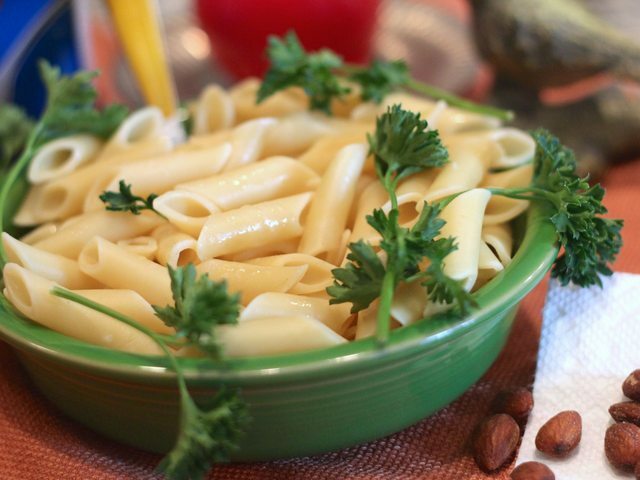 Serve with a few nuts and garnish with parsley. Enjoy! TIP: For extra flair, try triple stacking your sandwich!